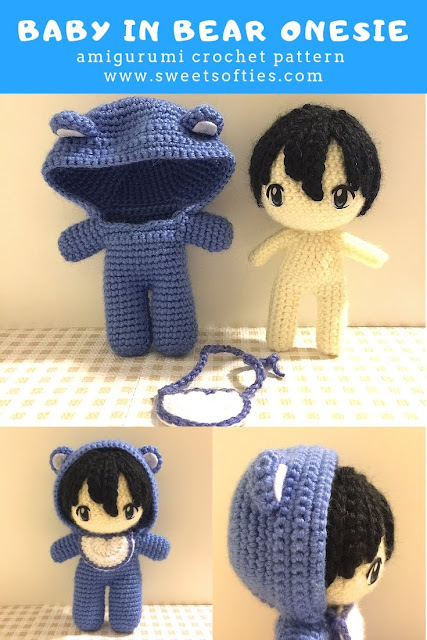 The Baby’s Bear Onesie and accompanying doll pattern makes an adorable, little child in a removable bear outfit (“kigurumi”) and bib. 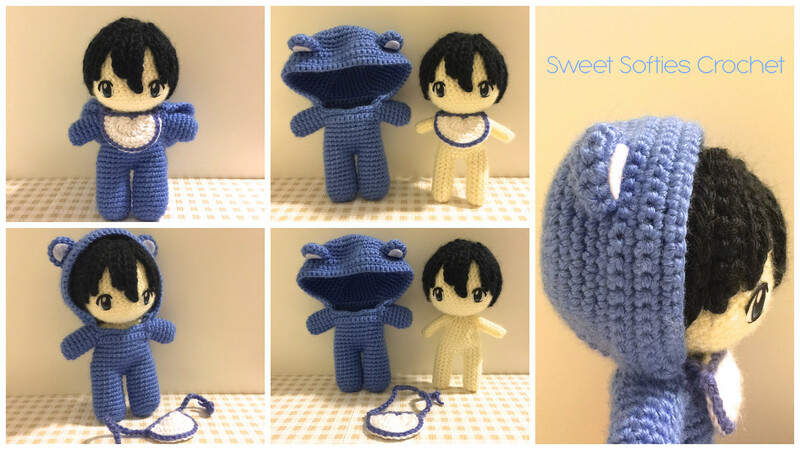 This pattern can easily be customized to make a girl or boy by using different yarn colors, adding longer hair, or accessories. 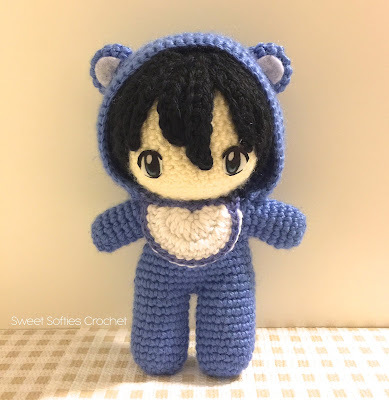 Add extra rows to the bear ears and you can make a bunny suit instead! All clothing / outfit items are removable for added-on play feature! To make this baby (or toddler) doll, start by following instructions for the 6” Chibi Doll Base. Then, use this set of instructions for the following add-ons: crocheted bear suit, bib, and hair tutorial, as well as a hand-drawn anime style eyes tutorial.